Newly Remastered in HD from a 4K of the restored fine-grain master! One of the all-time great Hollywood chillers! 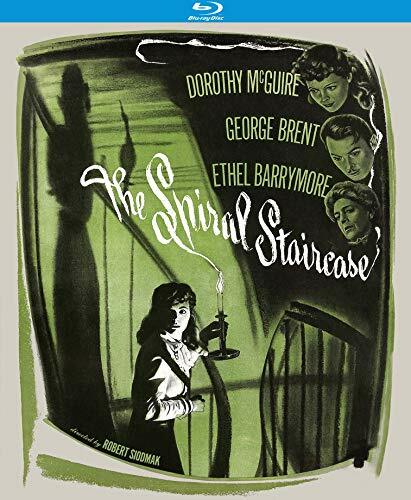 A murderer is targeting disabled young women in a New England town, and Helen (Dorothy McGuire, Gentleman’s Agreement), a mute servant in a Gothic mansion, is terrified she's next. Mrs. Warren (Ethel Barrymore, Deadline – U.S.A.), the invalid, bullying mistress of the house, warns Helen to leave at once, rather than rely on her weak son and stepson for protection. But even as Helen is packing her things, she suspects she may be too late and the murderer is closer than she ever imagined. This terrifying and suspenseful thriller was produced by David O. Selznick (Duel in the Sun), directed by Robert Siodmak (Cry of the City), shot by Nicholas Musuraca (Out of the Past) and written by Mel Dinelli (The Reckless Moment), based on a novel by Ethel Lina White (The Lady Vanishes). The wonderful cast includes George Brent (Dark Victory), Kent Smith (The Night Stalker), Rhonda Fleming (Those Redheads from Seattle), Elsa Lanchester (Witness for the Prosecution), Sara Allgood (The Lodger), Rhys Williams (The Farmer’s Daughter) and James Bell (I Walked with a Zombie). The great Ethel Barrymore received a supporting actress Academy Award nomination.